Place of residence: Bұhar – Zhyrau district, Ushtobe village, Sadovaya 60. 1. KSTU, specialty: “Vocational training (trajectory construction)”, -2009-2013. 3. KSTU, magistracy, specialty: “Vocational training”, 2016-2018. 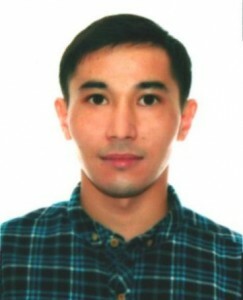 2013-2018 teacher of construction disciplines, “Karaganda Transport and Technology College”. 2018 – and to the present – teacher of the department “Building materials and technologies”, KSTU. Professional skills: language skills: Kazakh – fluent, Russian – fluent, English – with a dictionary. Readable disciplines: “Design Basics and Computer Graphics”, “Hydraulics, Hydrology, Hydrometry”, “Foundations and Foundations”, “Engineering Systems of Buildings and Structures”, “Building Structures 3”, “Soil Mechanics”, “Engineering Surveys in Construction”. - “Student’s House Boydaz іzіndіk zhсmys іabіletterіn Galypttastyr”. Іazіrgі zamanғy maдыyzdy mәseleler. Halyқaralyқғyly log. “Pedagogy” series. Karagandy: Bolasha-Baspa. – №3 (83). – 2012. - “Technical basis for the development of modular educational programs.” Multimedia electronic educational edition. KSTU. Certificate No. 6763. 08 December 2016. - “The necessity of innovative technologies implementation in foreign language teaching”. International Journal of Science. Young scientist. Kazan № 1 (187) – 2018. - “Technical basis for the development of modular educational programs.” Department of Intellectual Property Rights, Ministry of Justice of the Republic of Kazakhstan. Certificate number 0385. February 8, 2018.